As sailing season commences, a new Bermuda Triangle forms in the Atlantic. This Spring, Bermuda joins forces with New York and Newport to create a new Bermuda Triangle of sailing. Starting in May, a series of sailing competitions lure nautical novices, seasoned seafarers and world-class yachtsman to hop from port to port. Four centuries since shipwrecked sailors discovered Bermuda, master mariners once again point their sails toward the storied Mid-Atlantic islands. In May, the Argo Gold Cup (May 6-11) will start the season off with four days of racing in Hamilton Harbour. 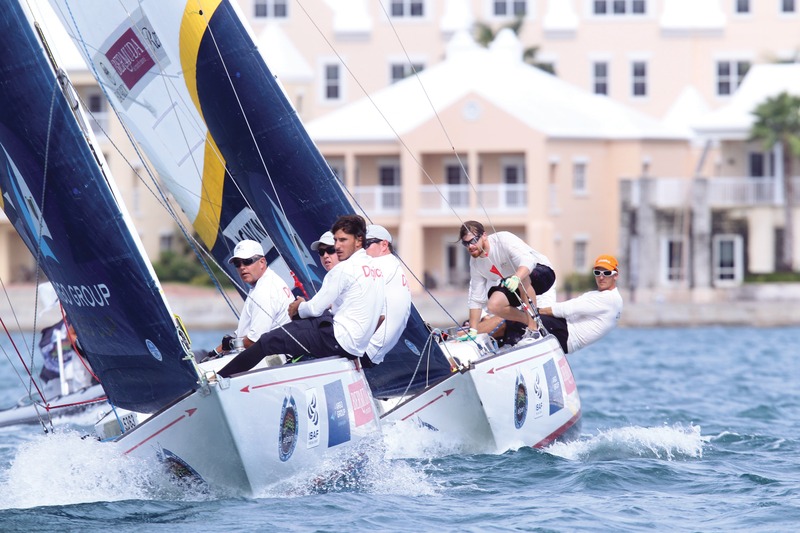 Soon after trophies are awarded at the Royal Bermuda Yacht Club, another racing regatta, the Antigua Bermuda Race (May 8-16) will bring their finishing fleets toward the isolated isle. In its third edition, this year’s 935 nautical mile race through the Atlantic Ocean to Bermuda will include 20 yachts from seven different countries. 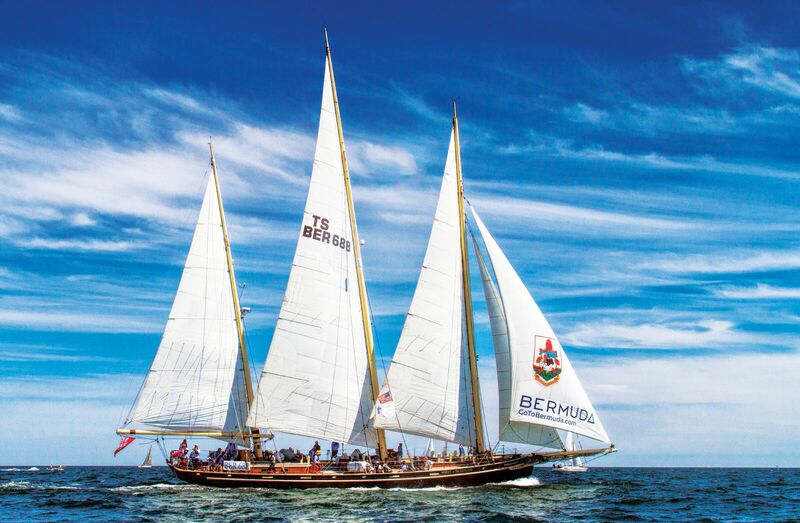 Later in June, the daring voyages continue with the biennial Marion to Bermuda Race (June 14-22). In its 42nd year, the journey leaves the mainland at Buzzard’s Bay in Marion, Massachusetts and ends at St. David’s Head in Bermuda. Another adventure awaits stateside at the SailGP Regatta (June 21-22) in New York City. Sailing spectators will get to relive the action of America’s Cup as modified boats last seen at the races in Bermuda in 2017 once again compete. Teams from Australia, China, France, Great Britain, Japan and the United States will battle it out in identical supercharged F50 catamarans, engineered for intense racing at electrifying speeds exceeding 50 knots (nearly 60 mph). While regatta-watchers await the biennial 635-mile Newport Bermuda Race that returns in June 2020, this summer marks the 35th Anniversary of the Newport Regatta (July 5-7). Held each season at Sail Newport, Rhode Island’s Public Sailing Center. The event that attracts sailors from 16 states and several countries welcomes competitors aboard everything from small single-handed dinghy classes to larger one-design boats that require a dozen crew. The sailing spectacle doesn’t stop there. The day after the Newport Regatta lowers its sails, Newport’s 12 Metre World Championship (July 8-13) sets sail. As the largest-ever gathering of 12-metre yachts in the U.S., this regatta has America’s Cup ties—as many AC veterans (including some Olympic medalists) comprise teams from Australia, Canada, Denmark, Finland, Italy, Norway and the United States. Whether your voyage lures you to Bermuda or docks you ashore in New York City or Newport, the centuries of sailing history that connect these ports is still very much in the making this summer. To learn more about the New Bermuda Triangle of sailing, visit gotobermuda.com.